One of the most enjoyable parts of running Dean's Cards.com is the process of building complete sets for our customers because it gives us a chance to exercise our card collector muscles again. We love the challenge of hunting down the rare cards to fill in the missing pieces of the puzzle. In fact, just today we were able to build a 1963 Topps baseball complete set. The 1963 set includes 576 cards, 32 of whom are Hall of Fame players. The 1963 Topps set also includes rookie cards for Pittsburgh Pirates great Willie Stargell and the controversial leader of the Big Red Machine, Pete Rose. The 1963 Topps can be a very frustrating set to try to build because of an oddity with the production of the cards in the first three series produced that year. The number of cards produced during series one through three far outnumber the population of cards in Series 4 through 7. 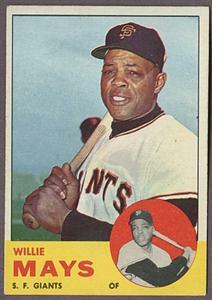 The 1963 Topps set is also unique among vintage baseball cards sets in that it has officially two “high numbered” series (the 6th and 7th ), starting with card #447. 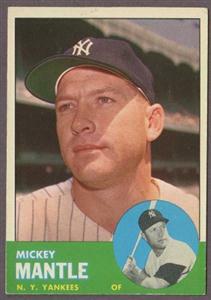 As opposed to building many other sets, the unique problem with the 1963 Topps set is not the scarcity of the high number cards, but the abundance of the first 283 cards in the set. For some reason, Topps greatly overproduced the cards in Series 1 through 3 in 1963 - which are the cards numbered 1 to #283. Regardless, the challenge of building vintage card set is an enjoyable one. 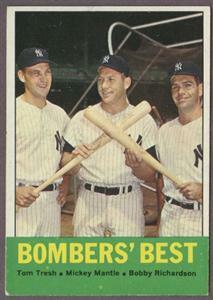 And today's work with our 1963 Topps set was no different. Finally, for collectors who enjoy the process of building sets themselves, please visit Dean's Cards.com for to find your hard to find missing pieces of the puzzle.